As always, I believe in transparency and publish my expense reports so the public can see how I am spending their money. I am happy to do this because when I travel on city business I do so in a frugal manner. 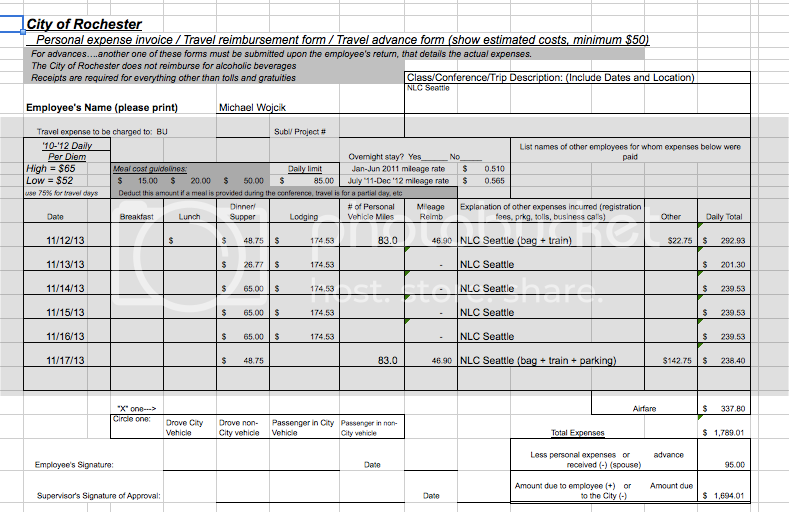 These expenses were from the National League of Cities in Seattle. Since I have been elected, I invest heavily in education but ALWAYS spend less each year than the entitled benefits that I give back to the city.